To make a charitable donation to the Grace E. Smith Scholarship, please click the button below. You will be directed to our PANDA ON! website. 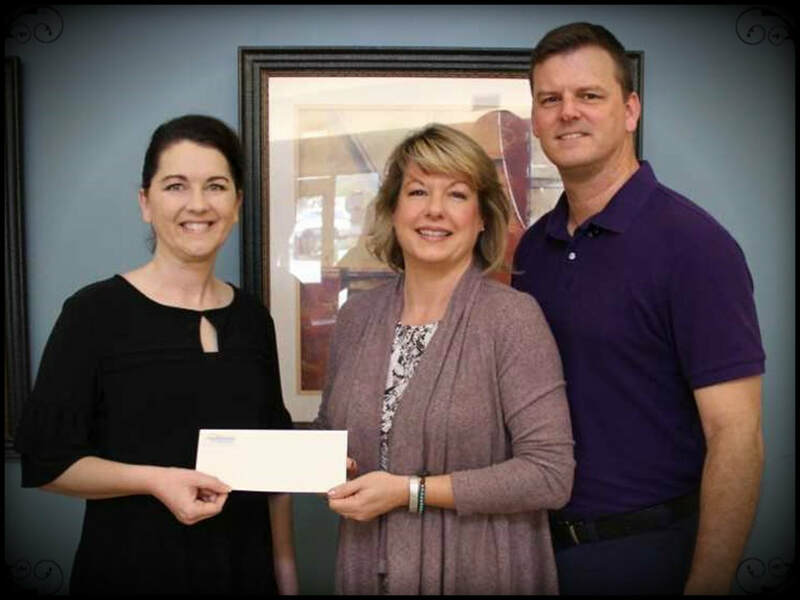 ​The Grace E. Smith Scholarship was instituted to honor the late Grace Smith of Telfair County, who succumbed to cancer after a valiant ten month battle. Her positive attitude and ever present smile made an impact in the lives of many people. As part of her legacy, the Grace E. Smith Scholarship was founded. The family partnered with Community Hospice in Vidalia because of their outstanding care, support and love for Gracie during her and her family’s deepest hour of need. The family also partnered with Southeastern Technical College in Vidalia as a local education institution for those who are earning their degree. During her stay at the Hospice House, Grace received the best of care from licensed professionals. Because of the impact in the Smith family’s life they wanted to give back to Community Hospice by creating a volunteer program through their scholarship. 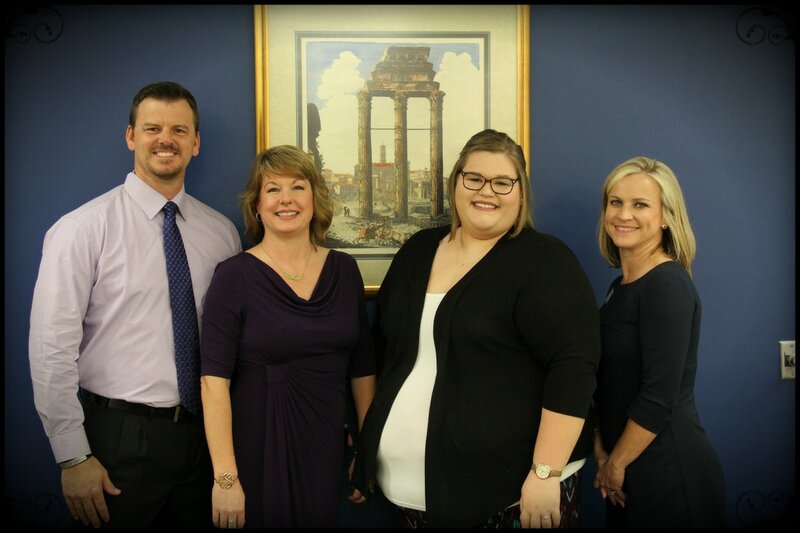 It is their hope the scholarship will benefit the recipient while providing an excellent opportunity for community service within Community Hospice of Vidalia. Amy Griffin of Swainsboro was named the recipient for the 2017 Grace E. Smith Scholarship. The $1000 scholarship will be awarded once per year, the first half in the Fall semester and the second upon that semester's completion and registration for the next, to a student in a health care program. This health care focus is due in large part to Vidalia Community Hospice, who aids in the fundraising process for the scholarship, and more importantly, care for the late Grace Smith. "She is a hardworking, dependable and likeable person. Her smile brightens the room when she walks in with her friendly greetings. There are people in our walk of life that do not seem to fit the field that they are working, but nursing is definitely Amy's calling in life. The compassion she has for the wellbeing of others shows in all aspects of her work," read Griffin's recommendation letter. Griffin is the fourth STC student to receive the scholarship since its foundation in 2014. The scholarship was established by the friends and family of Grace, a native of Telfair County, along with Community Hospice. Grace lost a 10-month battle with pediatric sarcoma cancer in May of 2013. She was 20 years old. Another Grace E. Smith Memorial Scholarship will be presented in the Fall semester of 2018, continuing a celebration of those who inspire and make a positive difference in their world. Grace Smith, the 20-year-old McRae woman who succumbed to cancer in 2013, already has an impressive legacy due to the work of her family and friends, but now her memory will provide a better life for others. 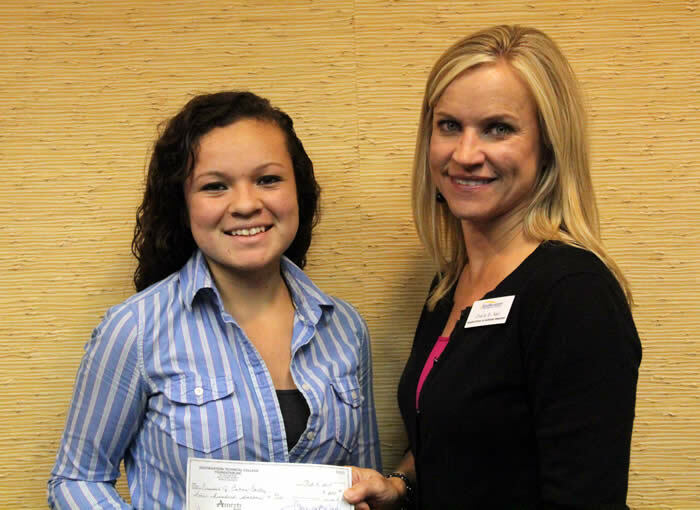 Erin Brown was named the recipient of the Grace E. Smith Memorial Scholarship. The $1000 scholarship will be awarded once per year, the first half in Spring semester and the second upon that semester’s completion and registration for the next, to a student in a health care program who desires to work in the hospice field. The hospice focus is due in large part because Community Hospice, which aids in the fundraising process for the scholarship, matches the donations and, more importantly, cared for the late Smith. The native of Tattnall County, Brown graduated from Tattnall County High School in 2011 and is currently enrolled in the Practical Nursing program at STC. Erin has also earned a Bachelor’s of Science & Public Health from Georgia Southern University in December 2015. “I wish to further my education because I want to make a difference in people’s lives,” Erin said. Erin is the daughter of Herb and Gina Brown of Reidsville. “As an Advanced Practice Registered Nurse, I understand the commitment and challenges that face a young student entering into the nursing profession, and I know that such a hardworking, determined and compassionate young woman (as Erin) will be successful both during her academic years as well as in her professional career,” read Brown’s recommendation letter. Another Grace E. Smith Memorial Scholarship will be presented in the fall semester of 2017, continuing a celebration of those who inspire and make a positive difference in their world. More on Smith and the work done in her name can be found at dayofgrace.org. Grace Smith, the 20-year old McRae woman who succumbed to cancer in 2013, already has an impressive legacy due to the work of her family and friends, but now her memory will provide a better life for others. 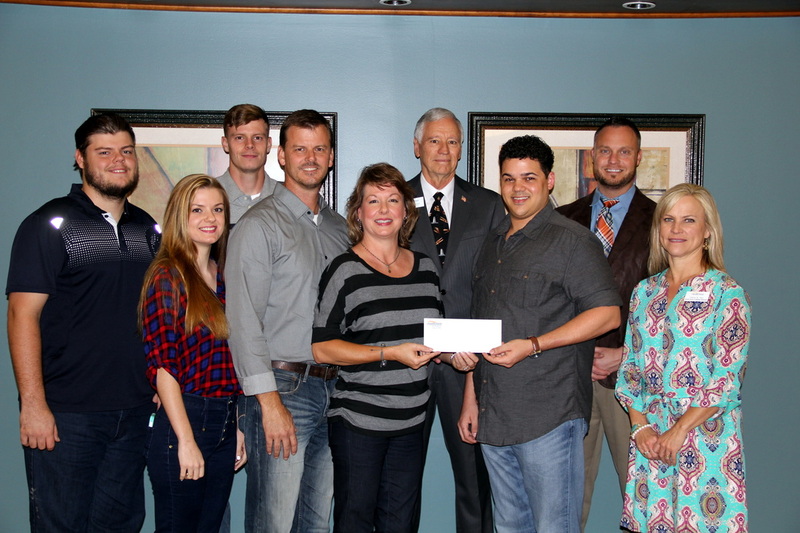 Jason Newton was named the recipient of the second Grace E. Smith Memorial Scholarship for 2015. The $1000 scholarship will be awarded once per year, the first half in Spring Semester and the second upon that semester’s completion and registration for the next, to a student in a health care program who desires to work in the medical field and is willing to volunteer hours to Vidalia Community Hospice. The hospice focus is due in large part because community Hospice, which aids in the fundraising process for the scholarship, matches the donation and more importantly, cared for the late Grace Smith. A native of Wheeler County, Newton graduated from Wheeler County High School in 2005 and is currently enrolled in the Associate of Science in Nursing program at STC. After the scholarship committee reviewed all the applications, Newton’s ambition and work ethic made him the unanimous selection. October 21, 2014 - Grace Smith, the 20-year-old McRae woman who succumbed to cancer last year, already has an impressive legacy due to the work of her family and friends, but now her memory will provide a better life for another young woman. 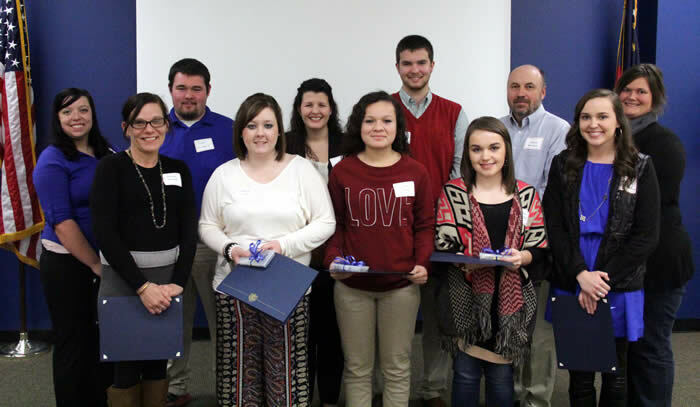 The $1000 scholarship will be awarded once per year, the first half in Fall semester and the second upon that semester’s completion and registration for the next, to a student in a health care program. This health care focus is due in large part to Community Hospice, who aids in the fundraising process for the scholarship and, more importantly, cared for the late Smith. The 19-year-old Cortez, of Toombs County, graduated from Toombs County High School in 2013 and is currently enrolled in the Health Care Assisting program at STC. After the scholarship committee reviewed all applications, Cortez’s ambition and work ethic made her the unanimous selection. Another Grace E. Smith Memorial Scholarship will be presented in the spring semester of 2015, continuing a celebration of those who inspire and make a positive difference in their world. More on Smith and the work done in her name can be found at dayofgrace.org.